Is It Time to Consider Aerating and Overseeding Your Lawn? 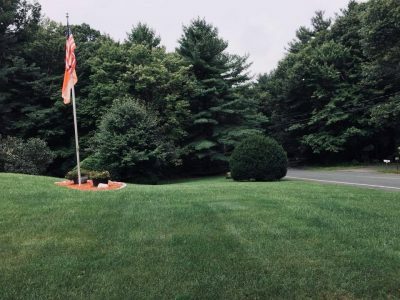 Brown or Dead Spots – Drought stress during the summer is typical in New England. 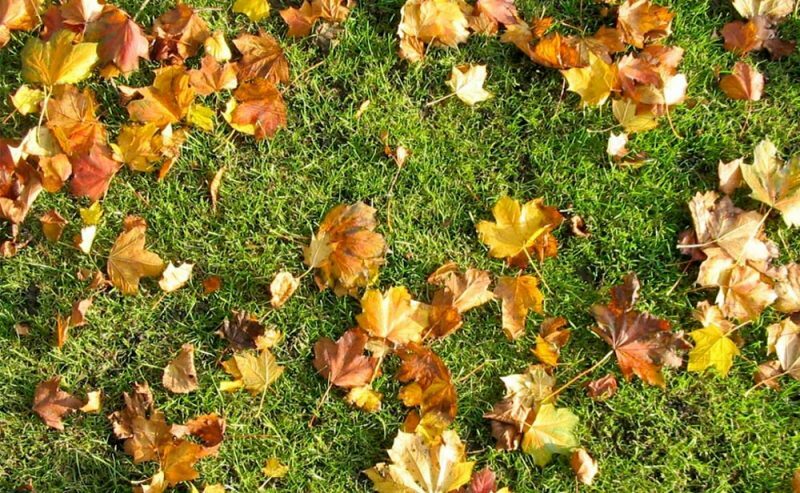 If a brown spot on your lawn carries over in to the fall months, there is a chance that area of grass did not survive the summer heat. A core aeration with overseeding will help break up the soil in this area and fill in with new grass so you do not have a bare spot next year where weeds can grow. Heavy thatch build up – Thatch is a layer of living and dead plant matter that forms around the base of grass plants. Excessive thatch build up can have a negative impact on healthy root growth for your lawn, as well as become a perfect home for fungi and pests. Thin layers of thatch can often be removed with a simple garden rake. However, if layers of thatch are exceeding 1 inch, a dethatching machine or vertical mower will be more effective. Find out more information on thatch here. 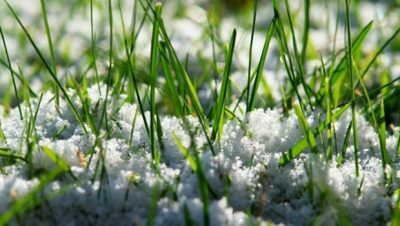 Compacted soil – When the soil underneath your lawn becomes too hard, new grass seed will not be able to penetrate and begin growing roots. 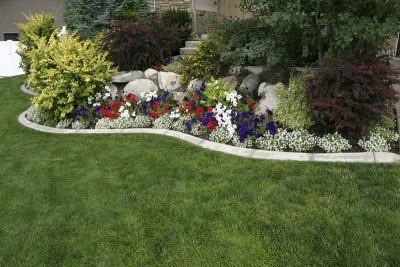 Compacted soil essentially suffocates your lawn since it doesn’t allow enough oxygen for the roots to function. 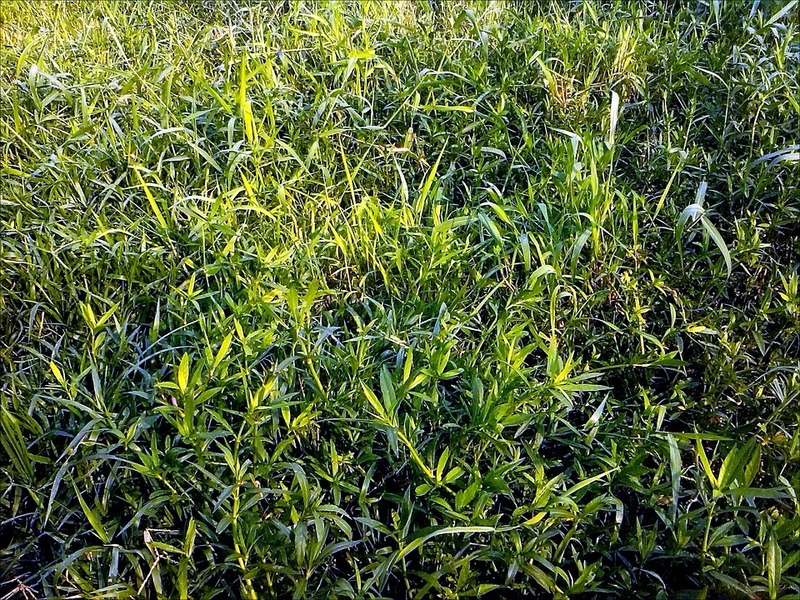 Weeds – Weeds and invasive grasses like crabgrass are better adapted to adverse growing conditions. 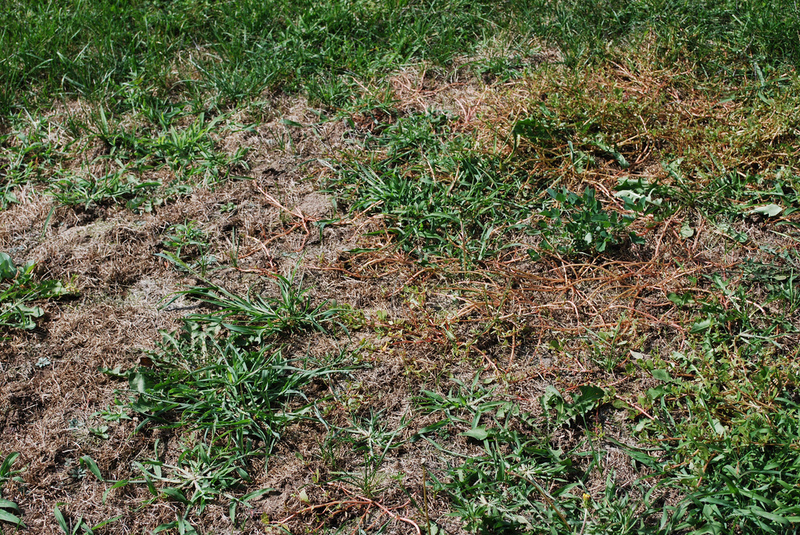 If your lawn becomes underfed and stressed out, weeds will have a better chance of taking advantage of these growing conditions. Weeds will compete with your desired grass plants for what little moisture and nutrients there are. Weeds also have a higher likelihood of not being affected by the same pests and fungi that seek healthy grass plants. Aeration and overseeding is not a difficult process, but it does require a lot of work. 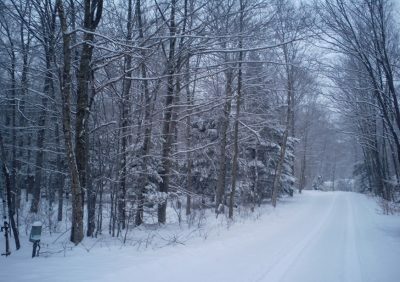 If you are looking for assistance this fall, give us a call at 1-413-998-STAY or click here to get a free quote.